Marriage has existed for thousands of years, advice is abundant, yet problems abound. Why is true intimacy so hard to find? Intimacy is not found; it is built. 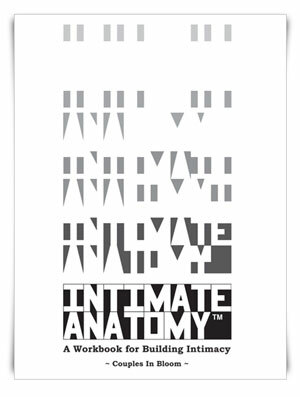 Intimate Anatomy shows where intimacy came from, what it is made of, and how to build it. No one can build intimacy for anyone else, nor can anyone else take it away. Couples are free to build the intimacy they want once they own its components. Who defines what intimacy is? Learning the origin of intimacy is more than acquiring knowledge. It is a powerful experience which reveals firsthand what intimacy is made of. Personally connecting these components to a relationship is what defines intimacy. This is why Intimate Anatomy is a workbook that requires completion. Reading books does not build intimacy; knowing what to do and doing it does. Follow through Intimate Anatomy to discover and own true intimacy that withstands the tests of time. Living the truths in this workbook is how authors Loren and Kathy Falzone exchanged their hopeless past for deep and growing intimacy. They wrote Intimate Anatomy to help others do the same. See the About page for more information.